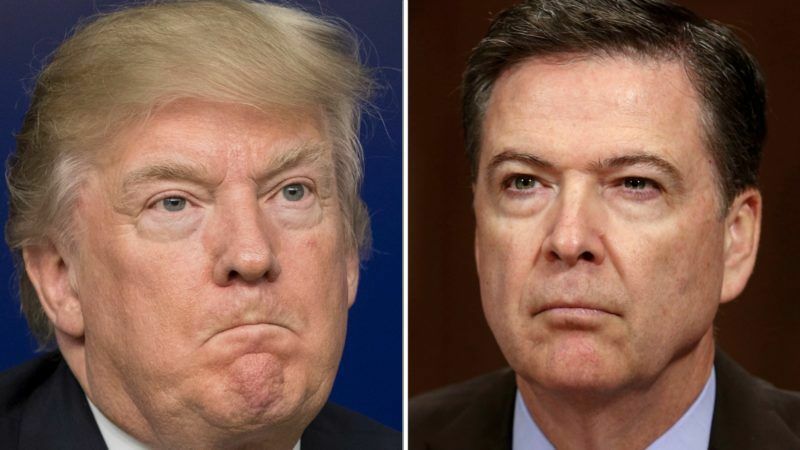 Former FBI Director James Comey accused President Donald Trump yesterday (8 June) of firing him to try to undermine the agency’s investigation of possible collusion by Trump’s campaign with Russia to influence the 2016 presidential election. In the most eagerly anticipated US congressional hearing in years, Comey told lawmakers the Trump Administration had lied and defamed him and the Federal Bureau of Investigation after the president dismissed him on 9 May. During more than two hours of testimony, Comey told the Senate Intelligence Committee he believed Trump had directed him in February to drop an FBI probe into the Republican president’s former national security adviser, Michael Flynn, as part of the broader Russia investigation. Comey would not say whether he thought the president sought to obstruct justice, but added it would be up to special counsel Robert Mueller, who is now investigating the Russia allegations, “to sort that out”. Sitting alone at a small table facing a bank of senators who fired question after question, Comey gave short, deliberative answers. He painted a picture of an overbearing president he did not trust and who pressured him to stop the FBI probe of Flynn. Trump critics say any efforts by the president to hinder an FBI probe could amount to obstruction of justice. Such an offense potentially could lead to Trump being impeached, although his fellow Republicans who control Congress have shown little appetite for such a move. Comey did not make any major disclosures about any links between Trump or his associates and Russia, an issue that has dogged the president’s first months in office and distracted from his policy goals such as overhauling the US healthcare system and making tax cuts. Russia has denied such interference. The White House has denied any collusion with Moscow. Nevertheless, the Russia matter likely will continue to overshadow Trump’s presidency, especially as the FBI probe has ensnared not only Flynn but Trump’s son-in-law and adviser, Jared Kushner. 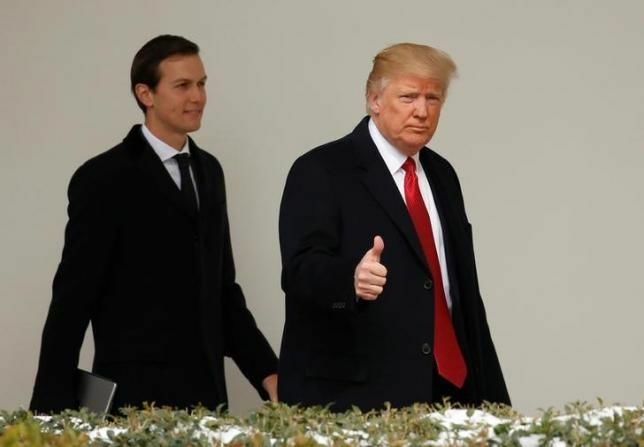 A Russian bank under Western economic sanctions over Russia’s incursion into Ukraine disclosed on yesterday (27 March) that its executives had met Jared Kushner, President Donald Trump’s son-in-law and a top White House adviser, in December. Attorney General Jeff Sessions has had to recuse himself from the investigation. Comey’s testimony drew renewed attention to Sessions and his relationship with Russia’s ambassador to the United States, Sergei Kislyak. After Trump fired Comey, the administration gave differing reasons for his dismissal. Trump later contradicted his own staff and acknowledged on 11 May he fired Comey because of the Russia matter. Comey said repeatedly there were details he could not discuss in a public session, making clear he had sensitive information he could disclose only in a closed session with the senators. Comey said the Trump Administration had defamed him in comments made after his firing by saying the FBI was in disarray and that the workforce had lost confidence in its leader. “Those were lies, plain and simple,” Comey said. James Comey called President Trump a liar several times. His accusations could further mire Trump’s government in legal difficulties. 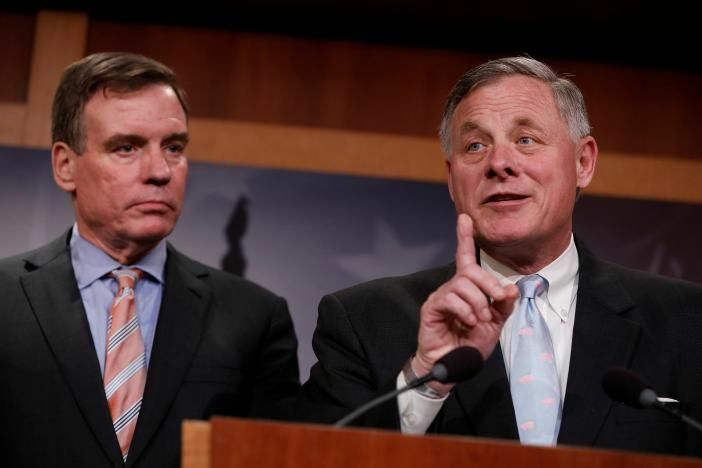 Mueller and several congressional committees are investigating what US intelligence agencies have concluded was an deliberate effort by Russia to help Trump win the election. “The Russian investigation is going to go on and it’s not going to stop and the president should have known that,” committee member Senator Dianne Feinstein (D-California) told MSNBC. Trump’s personal lawyer, Marc Kasowitz, said Comey’s testimony proved the president was not under any investigation and there was no evidence a single vote was changed as a result of Russian interference in last year’s election. Kasowitz denied Trump ever told Comey he needed and expected his loyalty, as Comey said. NBC News reported on Thursday that Kushner was expected to meet with staff members of the Senate Intelligence Committee in mid-June. Comey said he felt he needed to get his account of his conversations with Trump in the public sphere in the hope it might prompt the appointment of a special counsel, which later occurred. Comey said he gave copies of his memo memorializing his talks with Trump to people outside the Justice Department and asked a friend to share its contents with a journalist. Columbia Law School professor Daniel Richman confirmed to Reuters he was the friend to whom Comey was referring. Kasowitz said that “we will leave it to the appropriate authorities” to determine whether Comey’s leak “should be investigated”. Legal experts questioned Kasowitz’s contention that Trump’s private encounters with Comey should be considered privileged communications. Comey said he did not know if there were tapes of his conversations with Trump, but that if so, they should be released. US stocks closed slightly higher as the market reacted little to Comey’s testimony, viewing his testimony alone as unlikely to mark the end of Trump’s presidency. Comey said Trump did not attempt to get him to drop the overall Russia investigation, just the part of if that related to Flynn, whom the president fired in February for misleading Vice President Mike Pence about the extent of his conversations last year with Kislyak. Laura Donohue, a Georgetown University Law Center professor, said if Trump fired Comey to change the course of the Russia investigation, that would constitute an obstruction of justice. Regarding Sessions, Comey said he did not discuss Trump’s pressure to drop the probe into Flynn with the attorney general because the FBI leadership team believed Sessions would later recuse himself from the Russia probe. The Justice Department later issued a statement saying that Sessions recused himself from the Russia probe only because he had been part of Trump’s campaign.